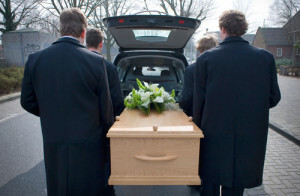 Who Is Entitled to File a Wrongful Death Lawsuit in Illinois? Home » Personal Injury News & Developments » Wrongful Death » Who Is Entitled to File a Wrongful Death Lawsuit in Illinois? Wrongful death lawsuits are filed by one or more plaintiffs against one or more parties who have caused another’s death through intentional harm or negligence. Wrongful death lawsuits allow the deceased individual’s estate to file a claim for compensation against every individual or entity legally liable for their demise. Most suits are filed by an estate representative on behalf of all surviving family members or any other party directly affected by the death. There are numerous examples of the claim for personal injury that becomes a wrongful death lawsuit that might not be one of the three examples listed above. In Illinois, surviving spouses and children have the legal right to file a wrongful death lawsuit. However, the rights can extend to family members that include adult children of the deceased or the parents of a deceased minor child. If the deceased individual did not have an appointed personal representative to handle their estate plan, the Illinois court system will usually appoint a personal representative. This statute allows surviving family members to take civil action against entities or individuals who caused the death of another through a wrongful death lawsuit. Like every state, Illinois has it statute of limitations, which is the amount of time that is legally set to file a wrongful death lawsuit. In most incidences, this statute of limitations in accordance with 75 ILCS 5/13-209 requires the filing to occur no more than one year from the date of the death of the deceased individual. However, based on some underlying circumstances, that time limit might change. It is best to seek out the advice of a competent personal injury attorney to evaluate the claim and determine the statute of limitations for filing a lawsuit. In Illinois, damages in a wrongful death lawsuit are paid to a surviving spouse and next of kin of the deceased individual. This means of the jury will likely award the amount of damages deemed to be just and fair compensation for the type of losses that occurred as a result of the death. In some situations, plaintiffs in a wrongful death lawsuit can receive damages for their sorrow, grief and mental suffering. Compensation is usually distributed by the Illinois court system to the plaintiffs in accordance with their level of dependency on the person who has died. In some situations, specific damages will only be paid to certain parties involved in the case. As an example, burial and funeral costs are usually paid directly by the deceased individual’s estate. Likewise, the loss of companionship or care are usually paid to family members, especially the decedent’s spouse or children. If you and other family members have lost a loved one through negligence or intentional actions of others, you likely have the right to seek financial compensation through an Illinois wrongful death lawsuit. However, these types of cases are complex and require the skills of a competent personal injury attorney. Rosenfeld Injury Lawyers LLC at (888) 424-5757 can help you seek the compensation you are entitled to receive.